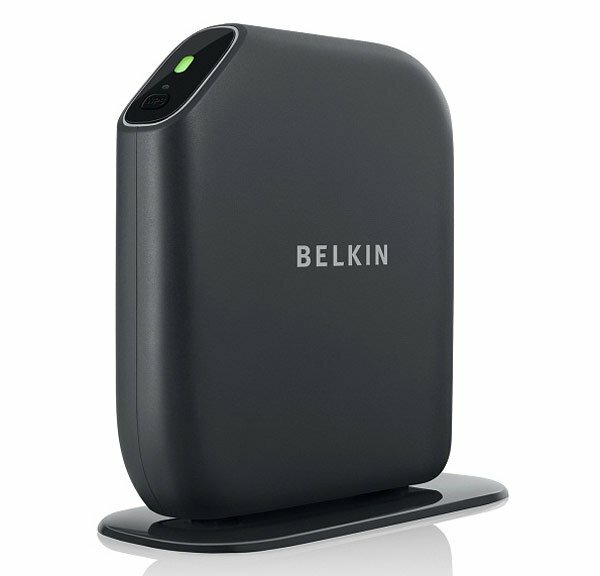 Belkin has launched a new range of wireless routers that are designed to be more user friendly and enable you to do more than just connect your devices. There are four new routers in the range, called the Surf, Share, Play and Play Max, all of which have a range of different functions to make using them easier. The Surf router is a basic 802.11n 2.4GHz wireless router with 256-bit WPA/WPA encryption, as the name suggests this one is designed for basic web surfing. Next up is the Share which comes with a USB port so you can easily add an external hard drive and share you movies and photos with all the computers in your house. The Play router is designed for gaming and it uses 5GHz dual band 802.11n, and has support for transfer speed of up to 300Mbps. The Play Max has the same features as the Play but it also comes with a couple of Gigabit Lan ports and two USB ports plus a UPnP server. All of the new router come with built in applications, which make it easier to print, share and backup your files. Prices start at $49.99 for the Surf, $79.99 for the Share, $99.99 for the Play and $129.99 for the Play Max.